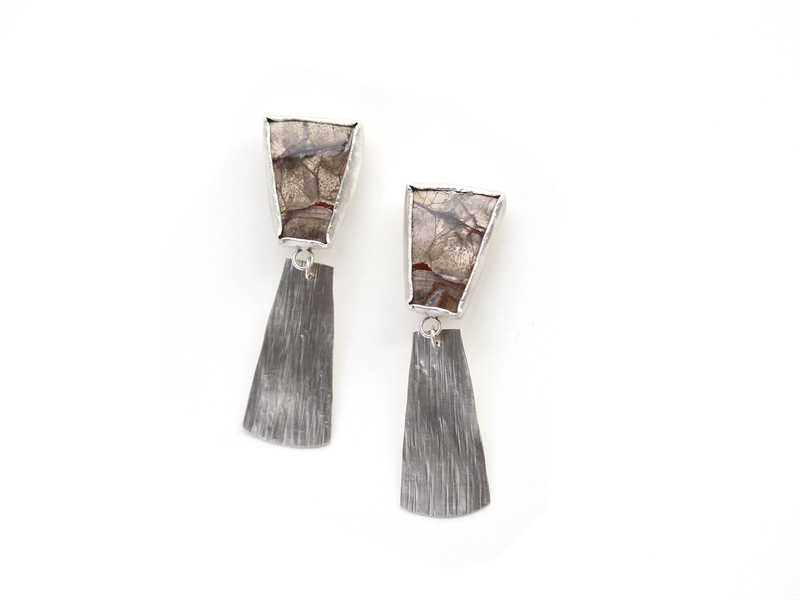 Unique clip on earrings made with earthy mushroom jasper bezel set in sterling silver and adorned with a dangling sterling silver plate. The sterling silver ear clip comes with a silicon cover to gently hold your earlobe. 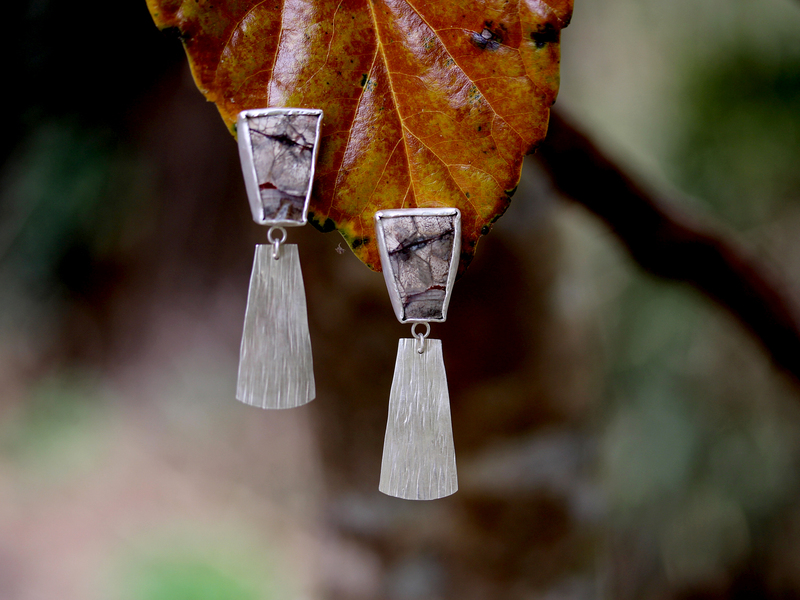 Made in recycled sterling silver.